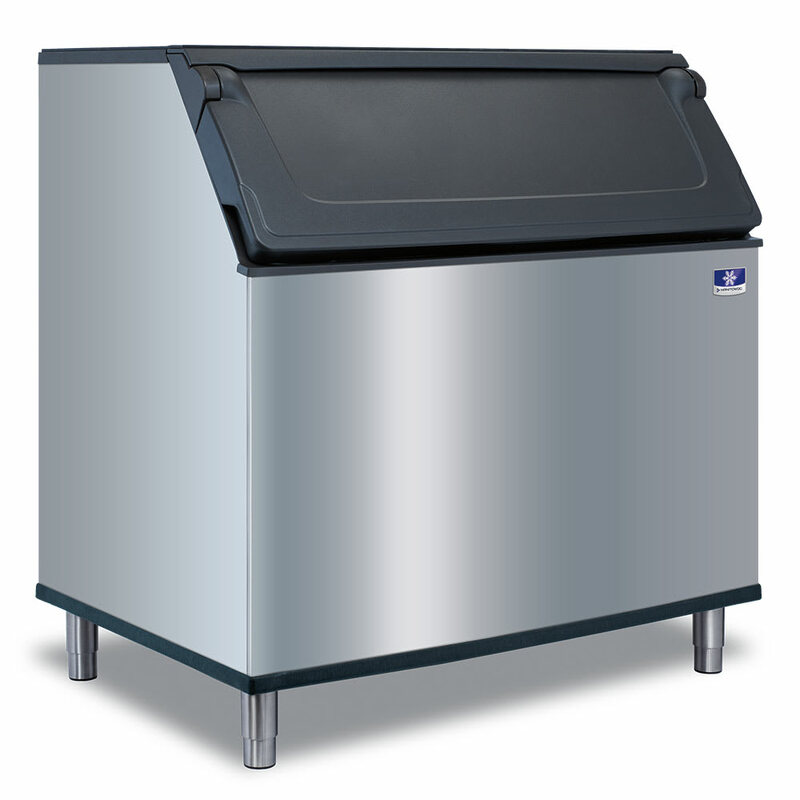 The Manitowoc D-970 ice storage bin has an artic blue interior liner that enhances the clarity of the ice. The ergonomic ice scoop is designed with a built-in thumb and knuckle guard to eliminate contact between the ice and the user's hand. Since it is made of plastic, the scoop is easy to clean and resistant to minor damage. The ice scoop has a 5.3-pound capacity and a molded-in lip that helps prevent ice from falling out. Foamed insulation on the door retains cold air, keeping the ice from melting quickly, and reduces condensation formation on the door. With built-in grips, the door is easy to open from any angle with just one hand. The door is set at a 53-degree angle for comfortable scooping, and it stays open as needed thanks to a self-latching design. 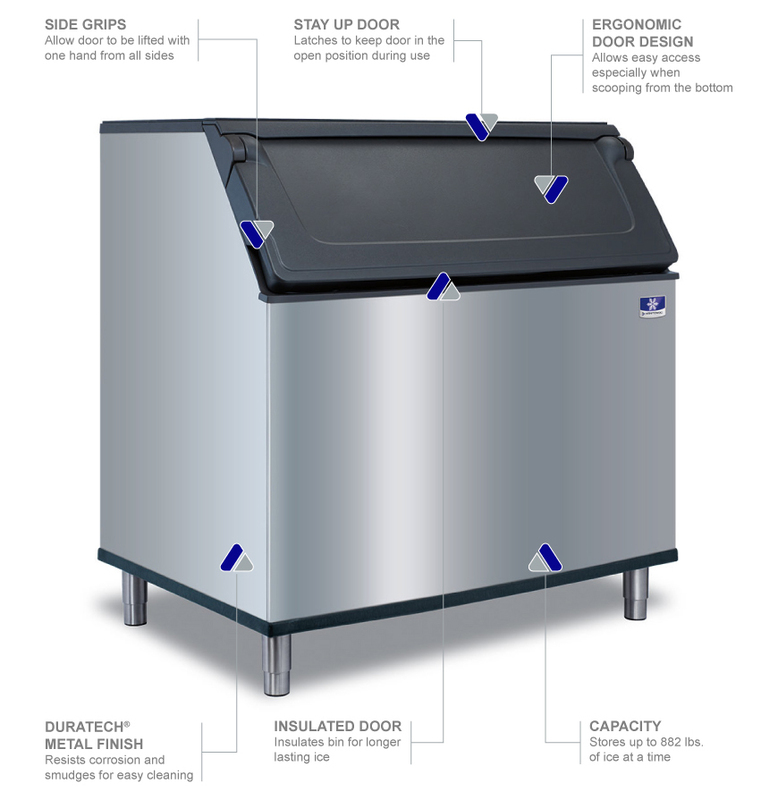 The exterior of the Manitowoc D-970 ice storage bin's exterior has a DuraTech finish to resist corrosion and reduce the visibility of fingerprints.